You are at:Home»English»Community News»Business»OBITUARY: Noritoshi Kanai, 94; Chairman of Mutual Trading Co. Hailed for introducing Japanese culinary culture, including sushi, to U.S.
Mutual Trading Company Chairman Noritoshi Kanai, often called the “Culinary Ambassador of Japan to the U.S.,” passed away on April 22 due to complications from a stroke. He was 94. Born in Tokyo, he had survived the harsh Pacific War in Burma, and graduated Tokyo Shoka Daigakiu (present-day Hitotsubashi University) with a master’s degree in economics. Kanai, through his leadership of Mutual Trading, has made possible for everyone in America to experience authentic Japanese culinary culture: edamame, sushi, soba, udon, ramen, premium jizake, and many other fine foods. Kanai introduced the Japanese culinary arts and the concept of a naturally healthy diet to the American marketplace. His innovations include the first sushi bar in America, the first edamame, and the first premium import jizake. Kanai joined Mutual Trading Company in 1951 and last year marked his 65th year with the company and the 90th anniversary of its founding. At a 90th-anniversary celebration, Kanai looked back in amazement at the company’s impact on global food culture. “Look at sushi today — today’s children are growing up eating sushi in their everyday lifestyle, right alongside pizzas and hamburgers. In Mexico, sushi is the No. 2 most frequently ordered take-out food, just a bit behind pizza. And just think, it was only 54 years ago that Mutual Trading first introduced sushi to America. What an incredible fact in culinary history,” Kanai said. Serving sushi on a dare to his business consultant Harry Wolff, Jr. , and after seeing him devour it without hesitation, Kanai set out to overturn the popular belief that ”Americans don’t eat raw fish.” He convinced Kawafuku Restaurant owner Tokijiro Nakajima to start sushi, designed the first sushi counter, and coined the word “sushi bar.” That Little Tokyo sushi bar proliferated into a “sushi boom” that led to the establishment of sushi restaurants across the nation and beyond. In 2008 that Kanai teamed up with Katsuya Uechi, a master sushi chef and industry leader, to create a place of learning and training for professional career chefs to further expand and to ensure the true Japanese culinary art form into the next generation. Miyako Sushi & Washoku School trains aspiring chefs and enthusiasts on sushi fundamentals and washoku. In order to train industry professionals on another booming category, sake, he founded the Sake School of America in 2010. Today Mutual Trading leads the Japanese food service business, and continues to promote authentic Japanese culinary art form in other regions of the world: Mexico, South America, Europe, Middle East, Australia, and Russia. The corporation currently spans across the Pacific with nine offices in America, in Japan and Peru. 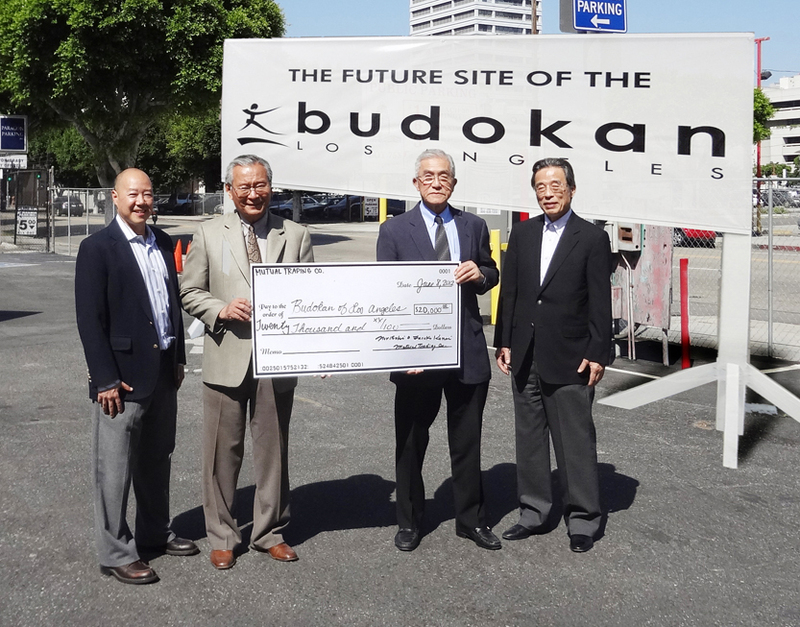 Mutual Trading Co. Inc. donated $20,000 to Budokan of Los Angeles in 2012. From left: Scott Ito, project director of Budokan of Los Angeles; Bill Watanabe, Little Tokyo Service Center executive director; Noritoshi Kanai, chairman of Mutual Trading Co. Inc.; and Kosei Yamamoto, president /CEO of Mutual Trading Co. Inc.
A strong proponent of the arts, music, and especially sports as a former 4th-dan black belt in judo, over the years Kanai has supported countless committees, events, and organizations. For his lifetime contributions serving the Japanese American community, Kanai was awarded the Order of the Rising Sun Kunsho, Gold and Silver Rays, from the Japanese government in 1994. In a most rare case, he was commended again in 2009 with the Order of the Rising Sun Kunsho, Gold Rays with Rosette, for his lifework of fostering Japanese food culture around the world, and for leading the Japanese Overseas Voting Association (JOVA) to advance voting rights to Japanese citizens residing abroad. In 2006 he was named Nisei Week grand marshal. Kanai was past president of the Japanese Chamber of Commerce of Southern California, director of the Japanese American Cultural and Community Center, president of the Pan American Nikkei Association, advisor to Hompa Hongwanji Rafu Betsuin, and charter member and president of JOVA. 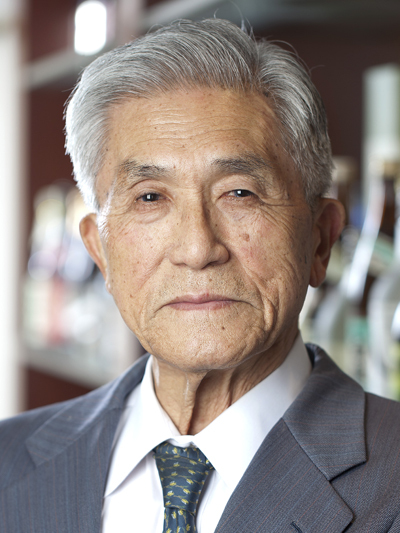 In 2011, Kanai was commended by the Japanese American National Museum with a Lifetime Achievement Award for his work using Japanese food as a cultural peace offering to mend the scars left by the World War II experience for both the Japanese and the Japanese American communities, and moreover, to establish a legacy for strengthening an identity for future Nikkei generations. The funeral service will take place on Saturday, May 20, at 11 a.m. at Hompa Hongwanji Buddhist Temple, 815 E. First St., Los Angeles. Parking is available at the temple, at an adjacent public lot, and on nearby streets.